We're all excited for the amazing fireworks displays across South Florida. And every year, the innocent crack of fireworks is often mistaken for gunshots. But there's technology to help sort through the noise, which the Riviera Beach Police Department is using right now. July 4th festivities are underway at the Riviera Beach Marina and it's there where police will be out and about making sure people are having fun and being safe. Back at the police station, there's an extra set of eyes and ears keeping track on things across the city. "I have eyes pretty much in every area of that event," said Officer Ossel Harrison. 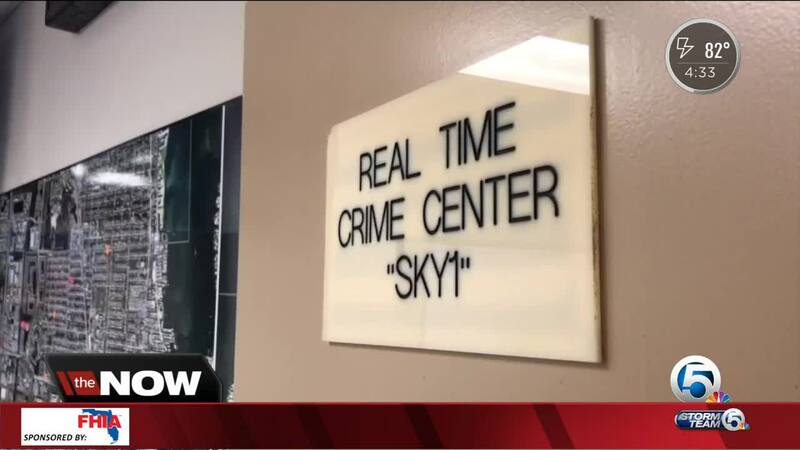 It's all thanks to their state of the art SKY1 technology. It features countless cameras and something called ShotSpotter. "It allows us to get a geographic location for real gunshots," said Officer Harrison. "Especially this time of year -- 4th of July -- you're going to have a combination of fireworks and gunshots -- and the system is smart enough to tell one from the other." This helps officers when they get inundated with calls on busy holiday nights like this week. "It gives you more of a triage to handle an event like this because everybody from a street over is doing fireworks. And then you have those shooting their firearms," said Officer Harrison. "We're able to kind of narrow down where we need to dedicate ourselves for that, rather than running to every call. Because you're exhausting your support that you have on the road." Shooting a gun into the sky in celebration is illegal and incredibly dangerous with deadly consequences. "What goes up has to come down," said Harrison. Like gunshots, the sound of a firework depends on the size and type. According to gun experts, a whizzing bullet often carries a longer echo than a firework. Harrison showed us an example of how shot spotter works. In the audio file, you can hear what sounds like fireworks and then a couple of gunshots. "It captured both the fireworks and the gunshots but it was identified as gunshots for this particular area," said Officer Harrison. Harrison said he hopes residents will celebrate safely tonight. "To celebrate our country's independence and the fact that you have the means to celebrate, you have to celebrate wisely," he said. 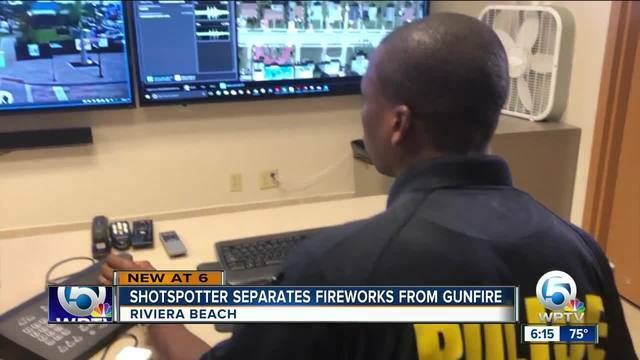 According to the ShotSpotter website, there are several Florida municipalities that have the technology, including PBSO and agencies in Miami and Jacksonville. The July 4th event in Riviera Beach runs until 10 p.m. and features food, shopping, games and live music for the family. Fireworks start just after 9 p.m.